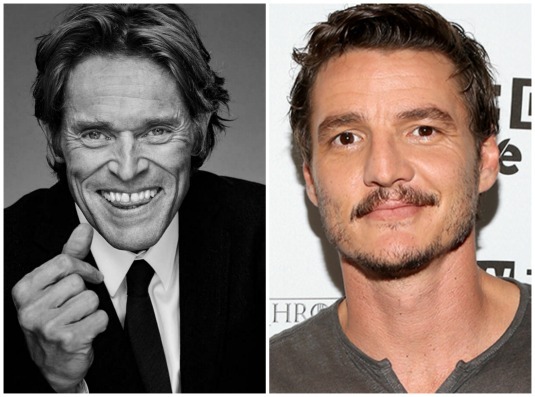 Matt Damon and Willem Dafoe Lead Cast In ‘The Great Wall’ From Legendary Entertainment!!! It looks like Legendary East, the Chinese branch of Legendary Entertainment is finally moving forward in a project they’ve been eager to get to when the company hung out its shingle 2 years ago. ‘The Great Wall‘ is set in 15th century China revolving around an elite force of British warriors who come across the quickened construction of the giant wall. Soon enough the soldiers learn that a wall isn’t only to keep out the Mongols, but will be the setting of a last stand against mythical creatures who are more dangerous with how inhuman they are. Starring in this blockbuster are Matt Damon, Pedro Pascal and Willem Dafoe along with a veritable who’s who among Chinese actors including Andy Lau, Jing Tian, Zhang Hanyu, Eddie Peng, Lu Han, Lin Gengxin, Zheng Kai, Chen Xuedong, Huang Xuan and Wang Junkai. Zhang Yimou (‘Hero‘, ‘House of Flying Daggers‘) is leading up the project hailing from an idea by Legendary chief Thomas Tull and zombie aficionado Max Brooks (‘World War Z‘), the writing team of Doug Miro, Carlo Bernard, Ed Zwick, Marshall Herskovitz and Tony Gillroy finished up the final script that Yimou will direct from. This entry was posted on Wednesday, March 11th, 2015 at 11:40 pm	and is filed under Film, News. You can follow any responses to this entry through the RSS 2.0 feed. You can skip to the end and leave a response. Pinging is currently not allowed. « Joe Carnahan Directing Next President-In-Peril Film With ‘Motorcade’!! !